The Control Room in the Former Blue Crab Restaurant on 7/20/2004. 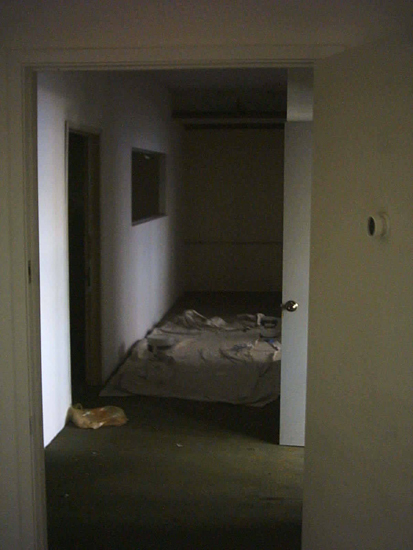 A number of smaller rooms and offices were located beyond the door to the Control Room. 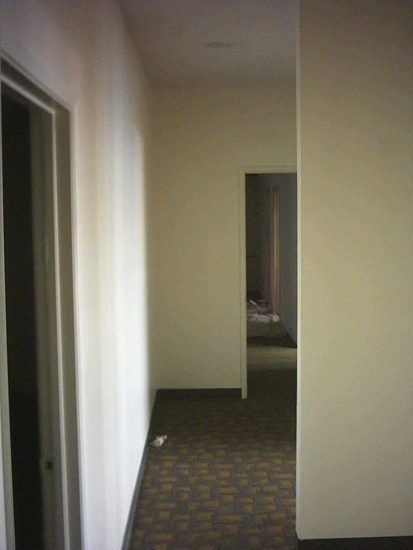 To the left was a large room that most likely housed the televisions used to monitor each room in the House. Inside of that room was the double door entrance to the kitchen of the Blue Crab Restaurant. The view from the Confessional Room looking towards the entrance to the Control Room. 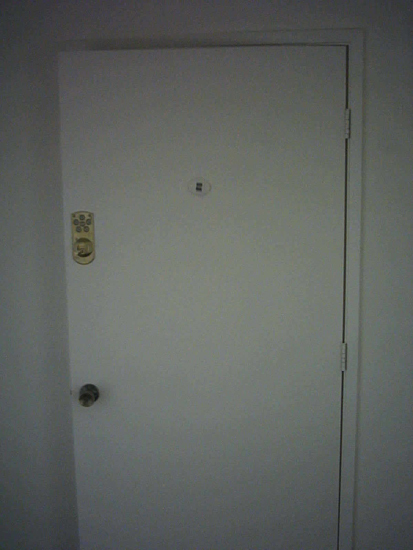 The door to the Control Room. A combination lock and peep hole were installed to prevent the cast from entering this area during the filming of the series.